CEBU, Philippines — It was Friday, a normally busy day for drivers of public utility vehicles, but at a garage in Sitio Tagunol, Barangay Basak, Cebu City, dozens upon dozens of taxi units remained parked. Ten years ago or so, when taxis still enjoyed the reputation of being the preferred mode of transport in Cebu aside from public utility jeepneys, the scene would have been unthinkable. Richard Cabucos founded the company 40 years ago, shortly after retiring from his job as a mechanic for an airline company. Starting with just one unit, the business grew to reach 136 units today. 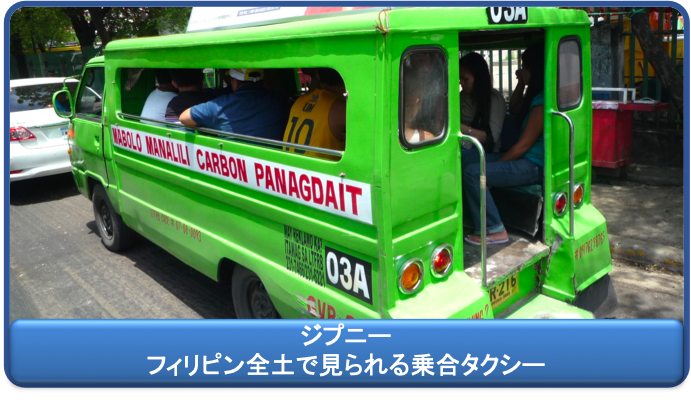 Being one of the earliest taxi operators locally, Cabucos witnessed the industry’s growth, stagnation, and decline. In its heyday, the taxis provided more than enough food for their family’s table. They also allowed him to send his two children to college, who are now professionals and the ones running the affairs of the business. But the business that has run smooth for years is now caught in the middle of an economic standstill. And as more alternative modes of transport are introduced and implemented, Richielda and other taxi operators are forced together to tread a similar road – that of slow, agonizing death. “If this system continues, the industry will die. Except for players who could shell out more funds to save their businesses. If the situation is left unattended taxi operators will file for bankruptcy,” Cabucos told The FREEMAN. Out of Richielda’s 136 units, only 50 are currently plying the streets. The rest remain, as Cabucos said, rotting in his garage. Some units have been sold to junkshops for P8,000 to P10,000 apiece. Many of his drivers have also quit and opted to drive Grab cars, Angkas and habalhabals that promise them more lucrative earnings. If there are people who directly feel the pinch, it’s the taxi drivers themselves. Antonio Narguada, 49, has driven taxi for 30 years. It breaks his heart to know that taxi has now become just an alternative – worse, the last resort – for the riding public, no thanks to app-based rides and habalhabal services that offer cost-competitive and user-friendly options to passengers. "We would purposely stop so passengers would ride, but they wouldn’t. Sometimes we feel insulted when they tell us they’ve decided to ride a taxi because their Grab came late. They just ride when they really need it." Narguada, who has a wife and seven children, rents a unit of C&C Taxi at P1,100 for 24 hours. He hits the streets as early as 5 a.m., and drives until the next day. Likening driving to fishing, he said it sometimes takes long to “catch” a passenger. When this happens, he parks at peopled areas like the Cebu South Bus Terminal and does not mind paying P10 just to pick up passengers. He then spends three to four hours sleeping on the road before returning his unit at 4 a.m.
Narguada said he has lost half of his income to ride-hailing services and habalhabals. He used to earn P1,000 to P2,000 every day. Now, a take-home earning of P500 is already a good day. “It was good before. Now, my wife would ask me where my money has gone. But that’s all I earned,” he said. Though he is going through tough times, though, Narguada is not bent on turning his back on the job that has supported the college studies of two of his children, one of whom now a licensed professional teacher and the other graduated just this week with a degree in education. He said he would retire soon once his youngest child, now three years old, finishes school. Jimmy Quindao, 48, a driver of Dunken Taxi, barely makes ends meet with his P300 to P500 daily take-home pay. He rents a unit at P1,300 a day. Quindao, who started driving when he was still 19, used to earn P1,000, driving for only 10 hours. 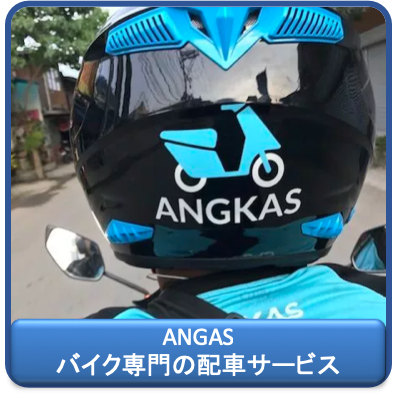 When Angkas and habalhabals emerged, he said, it made driving taxi less profitable. 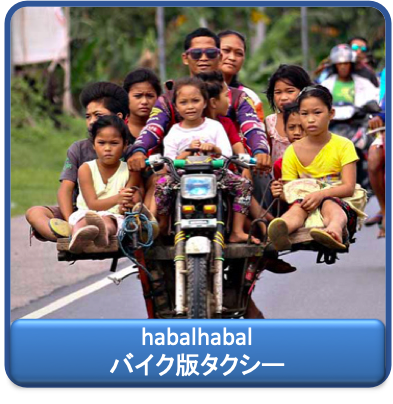 But since he has three children to feed, he hangs on with his taxi and dabbles in driving a habalhabal for extra income. Since he owns the motorcycle, he need not pay rent and earns P500 in a span of seven hours. He has noticed that many passengers are now opting motorcycles as a means of transport since they are cheaper. Taxi driver Danny Villagonzalo, 56, echoed the sentiments of Narguada and Quindao. Villagonzalo was a bus driver in the 1980s and transferred to the taxi service in 2010. He pays a daily boundary fee of P1,100 with Sam Taxi and gets an average of P350 to P400 for plying from 6 a.m. to 10 p.m.
Having no other livelihood, he said he is stuck with cab driving. Good thing for him, he said, he no longer has little mouths to feed. His sons now work as bus drivers. Villagonzalo considers motorcycle-for-hire drivers as the industry’s direct competitors since they pick up passengers anywhere. Grab and Angkas, on the other hand, use the booking system. He said passengers opt for motorcycles to arrive at their destinations faster, that he insists that the risks also increase exponentially with motorbikes. “They don’t have insurance, unlike taxis. When they figure in accidents, where can they claim damages?,” he said. For the Metro Cebu Taxi Operators Association (MCTOA), incidentally headed by Cabucos, motorcycle-for-hires should be banned from main thoroughfares and should only serve mountain barangays. MCTOA is an organization of 65 taxi operators with a total of 3,400 units and holders of Certificates of Public Convenience to operate in Metro Cebu and Cebu province. Cabucos admitted that when motorcycles and apps-based ride services sprouted like mushrooms, they instantly became a hit, owing to their convenience. But Cabucos believes that the Cebu City government’s support to Angkas and habalhabal drivers is motivated by politics, especially now that midterm elections is a month away. Mayor Tomas Osmeña, a vocal advocate of habalhabals, earlier pledged not to abandon the Angkas and motorcycles-for-hire drivers in the city affected by the temporary restraining order issued by the Supreme Court in December that stops their operations. The city government has started to distribute sacks of rice to qualified habalhabal drivers. To qualify for the rice subsidy, one must be a registered voter in the city and a member of any habalhabal association. Last February, the House of Representatives unanimously approved on third and final reading the House Bill 8959 that allows motorcycles-for-hire or habalhabals to operate as alternative commuter vehicles. Osmeña has contended that his soft spot for motorcycle drivers is not really something new; he has been advocating for their welfare since 2016, he said. In fact, the mayor took pride in having helped push the passage of the bill after attending the hearing in Congress. He pointed out the importance of habalhabals in upland barangays where roads are not built for jeeps or other types of four-wheeled vehicles. Cabucos said he is willing to speak during the Senate hearing on the passage of the habalhabal bill to make lawmakers aware of the plight of the taxi operators and drivers. Instead of backing up Angkas and habalhabal drivers, Cabucos said, Osmeña should identify areas in the city where new routes for public utility vehicles can be opened and assign the motorcycle-for-hires in mountain barangays. Cabucos said they were also frustrated with Grab since it “used” them as Grab taxis when it was just starting. Now that more passengers are booking for its services, Grab is reportedly focusing more on Grab cars and is even enticing their taxi drivers to transfer to them. Another snag faced by the taxi industry is the government’s push to modernize public road transportation services in a bid to keep up with the times. The Land Transportation Franchising and Regulatory Board issued Department Order No. 2017-011 requiring the installation of dash cameras, taxi-hailing apps, Wi-Fi connection, and GPS tracker in PUVs including taxis. Cabucos said it was hard for them to comply with the order since the GPS tracker reportedly costs P10,000 and the Wi-Fi connection costs them an extra P250 monthly. Some taxis once used the MiCab application which is already equipped with GPS tracker, and the plan cost only P600 per month for two years with a lock-in tablet. However, they were forced to stop using the app in accordance with the order. Fortunately, the LTFRB approved on March 13, 2019 the petition of MCTOA to install the MiCab app as substantial compliance thereto.